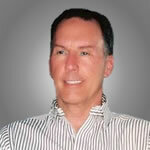 Ken is an Investment Banker with Xnergy based in San Diego. Ken provides clients with strategic advice, capital raising and risk management services. He is industry agnostic giving him the ability to share his expertise with a wide range of clientele. Ken has an extensive background in finance, and brings the knowledge of his 30 year career as a successful wealth manager to each client he works with. Including 20 years with Smith Barney as Branch Manager in Dallas, Tx. Ken has an MBA in Finance from Miami of Ohio. He holds a FINRA series 7 license.